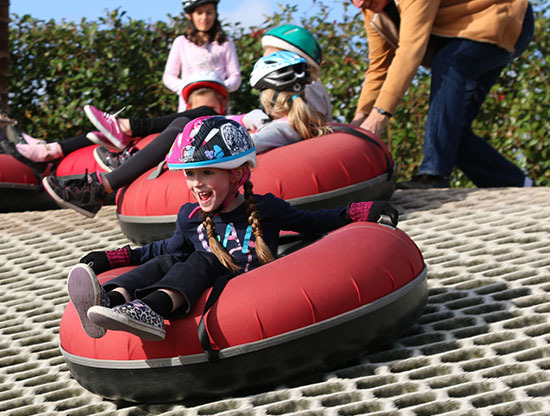 Donutting, or tubing, as it is also known, consists of sitting in a rubber ring with a hard plastic base, sliding down the slope, and having lots of fun! 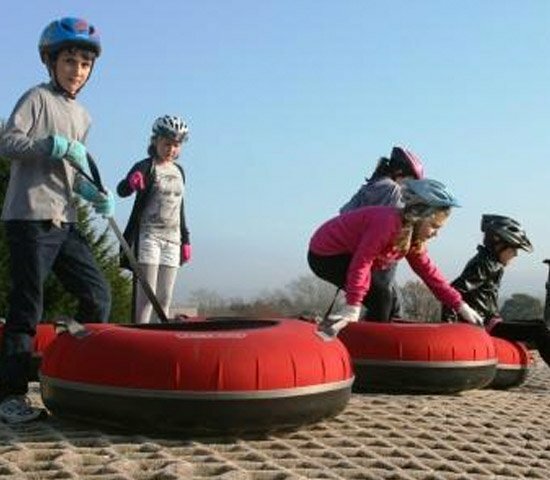 All sessions last for an hour, and there are 2 ways you can donut with us, a Public session with up to 15 people using the slope at fixed times or a Private session where you get exclusive use of the slope, and the maximum of 15 does not apply. Private sessions are great for birthday parties, youth group activities, or just as a bit (ok, a lot!) of fun for a group of friends, and are available 7 days a week. Minimum age is 6, however, we will allow 5yr olds ONLY as part of a 6yr old party. There is no maximum age for donutting, but the minimum age for a private booking is 6 years (we will have 5yr olds ONLY as part of a 6th party) – we have little donuts for little people, and bigger ones for everyone else. For safety reasons everyone will need long sleeves, trousers, gloves with full fingers, trainers or other sturdy shoes, and all under 16s will also need to bring a helmet (bicycle or similar). Public sessions are available at the following times, and sometimes at other times, although please note that from Easter to September public sessions must be booked at least a day in advance to ensure availability. SEPTEMBER to END OF EASTER HOLIDAYS – Saturdays and Sundays 1.00- 2.00, and 4.00 – 5.00. 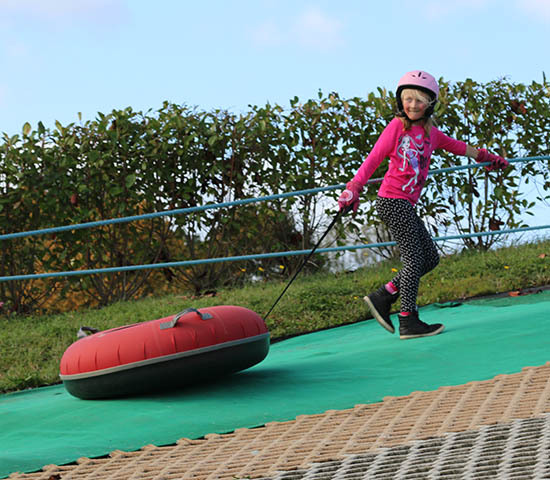 END OF EASTER HOLIDAYS to SEPTEMBER – Saturdays and Sundays 1.30 – 2.30. Other times may be bookable at short notice, depending on availability. SCHOOL HOLIDAYS – With the exception of the Summer Holidays there is generally a public session every lunchtime, please check the Home page or call for times, thank you. There is no maximum age for donutting, but the minimum age is 6 years (or 5 if it’s a 6yr old party). For safety reasons everyone will need long sleeves, trousers, gloves, trainers or other sturdy shoes, and all under 16s will also need to bring a helmet (bicycle or similar).